Questex LLC today announced the appointment of John Henderson as vice president and executive director of Questex Travel GroupÂ’s media division, publisher of Travel Agent and Luxury Travel Advisor magazines and its suite of digital products including the premier e-learning and loyalty platform, Travel Agent University. Questex LLC, a leading global business event and information company, today announced the appointment of John Henderson as vice president and executive director of Questex Travel Group’s media division, publisher of Travel Agent and Luxury Travel Advisor magazines and its suite of digital products including the premier e-learning and loyalty platform, Travel Agent University. Reporting to Beth Bronder, chief revenue officer, Questex Media, Henderson will be based in the company’s New York office where he will manage the travel business and focus on the group’s digital strategy as well as business and product development. 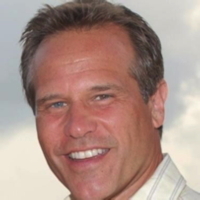 Henderson spent much of his career in successful senior sales, marketing and business development roles across digital media, ad technologies and the TV/video marketplace, most recently developing an end-to-end marketing, advertising and branding platform for Next Media Group, leveraging 360-degree virtual reality and augmented reality interactive and immersive technologies for the travel and entertainment industries. At TripAdvisor, the world’s largest travel site, he established a display advertising team and developed it into a highly successful and profitable business unit spanning both North and South America, working closely with major hotel brands, including Marriott, Hilton, Melia, Iberostar and Caesars, as well as many global destinations. Previously, at Sony Music, he and his team focused on developing new paths to monetize assets that would offset the decline of traditional music sales. Henderson began his career working for major media companies including The Walt Disney Company, Turner Broadcasting System and NBC, where he sold advertising and managed teams in their respective advertising sales organizations. He earned a bachelor of science degree in marketing and economics at The State University of New York at Albany. He will start officially at Questex on May 21. Questex LLC is a leading global business events and information company serving corporate and government clients and industries that are driving economic growth and business innovation around the world. The company drives business investment, innovation and demand-creation in the markets it serves by bringing together investors, buyers, sellers and professionals through its over 120 trade shows, conferences and other business events and informing them through related business media and information products. Questex’s industry-focused business units include Life Sciences & Healthcare, Hospitality & Travel, Beauty & Wellness, Emerging Technology & Telecom groups. Questex is headquartered in Newton, Massachusetts. The company employs over 350 professional staff members operating in the United States and the Americas, Europe, the Middle East and Asia-Pacific regions. For more information, visit questex.com. Are you with Questex Hospitality + Travel? If you are a member of Questex Hospitality + Travel you may be interested in learning how to optimize your content on our network.